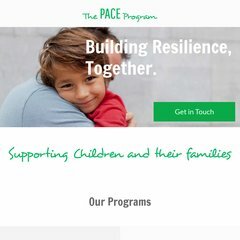 Topics: Programs, ◊ Pace Agency Overview [pdf], ◊ Pace Program Brochure [pdf], ◊ Pace Family Program [pdf], and (outline). There are 6 DNS records, such as ns2.baremetal.ca, ns2.baremetal.com, and ns3.baremetal.ca. Its local IP address is 209.139.194.238. It is hosted by Bell Canada (British Columbia, Vancouver,) using Apache/2 web server. PING www. (209.139.194.238) 56(84) bytes of data. A time of 65.7 ms, is recorded in a ping test.